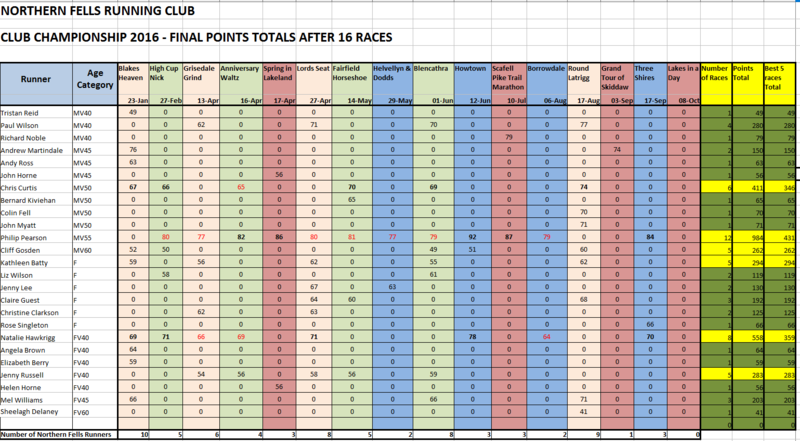 Club Champions for 2016 (for most points in best 5 championship fell races) were announced last Friday at the club social at The Old Crown, Hesket Newmarket. Well done to the winners and to everyone who participated. Thanks to Kong Adventure for help with supplying prizes/sponsorship. Details of the 2017 Championship will be uploaded here soon.